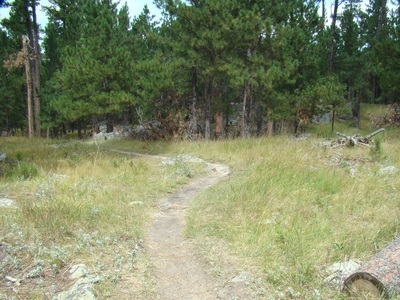 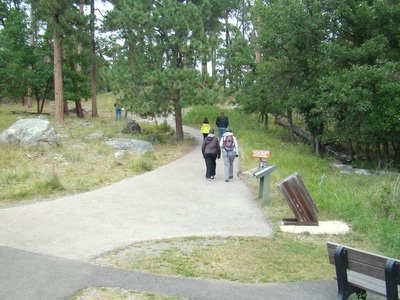 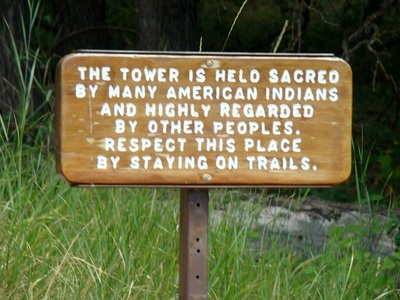 The photos below show the trailhead for the Redbeds Trail, which branches off the Tower Trail just past it's trailhead. 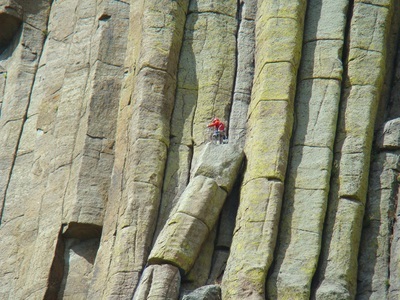 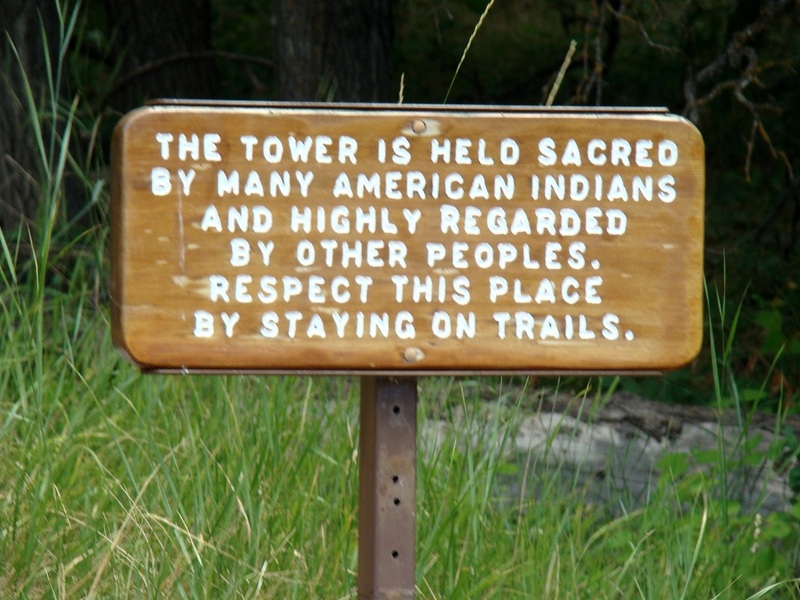 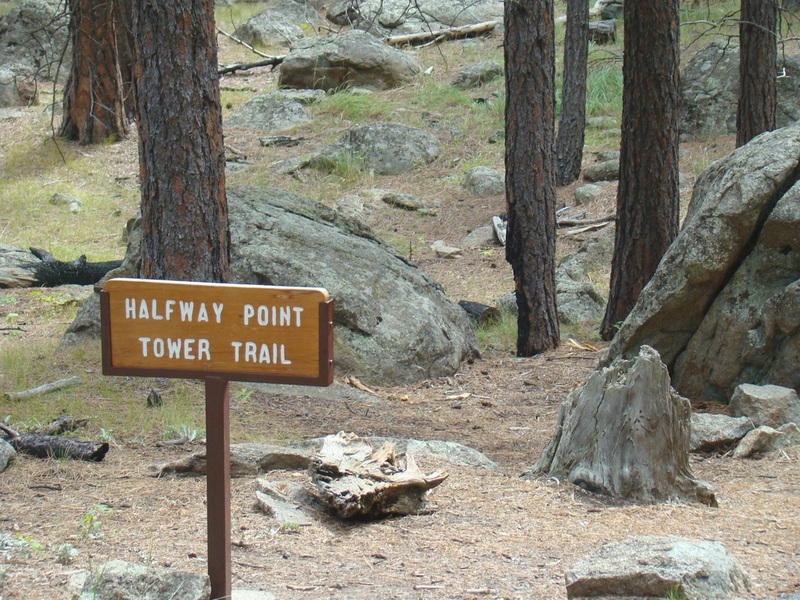 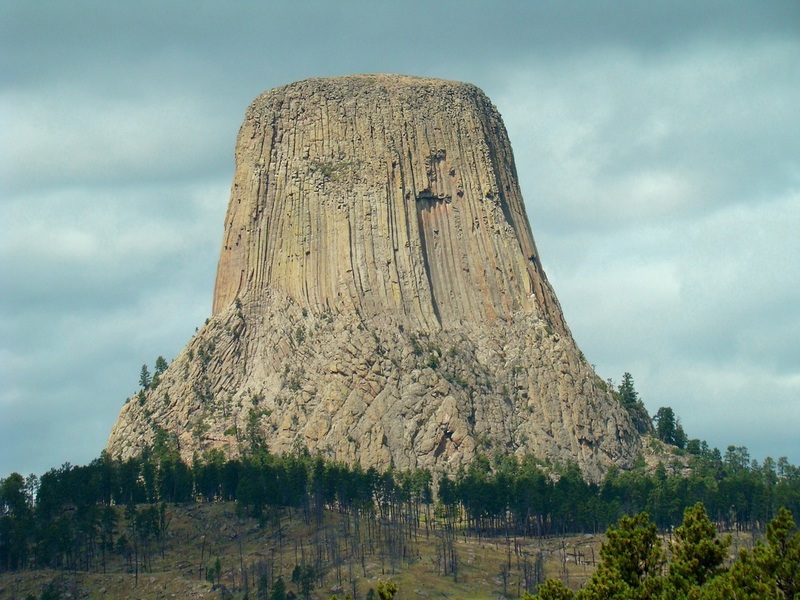 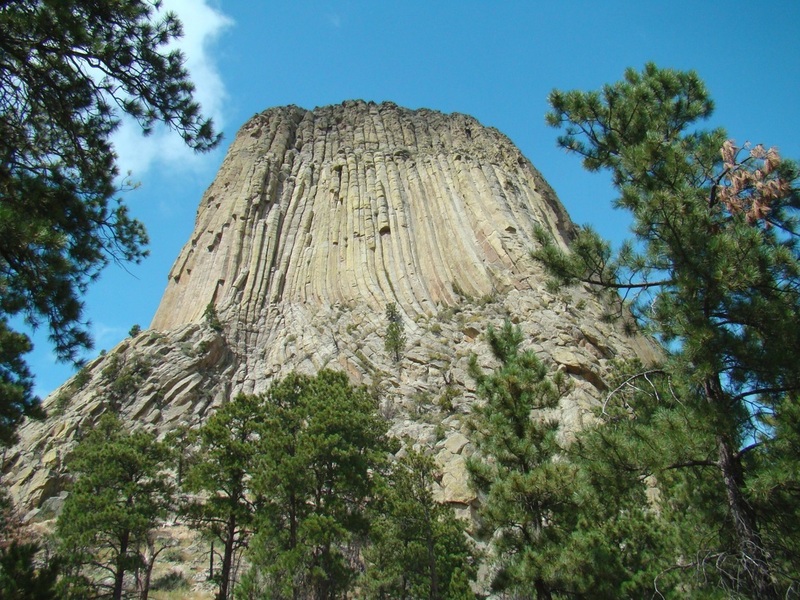 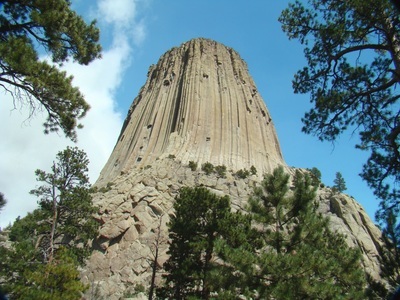 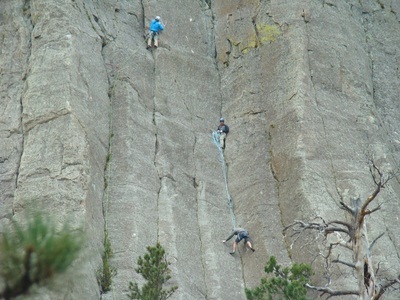 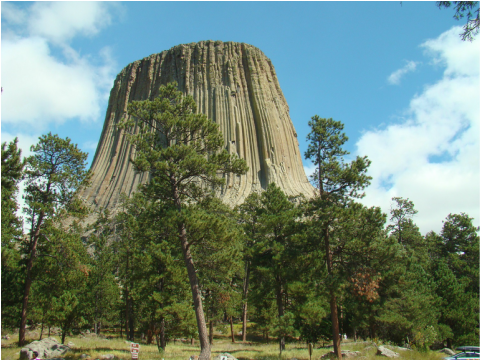 This trail is a 2.8-mile loop that circles Devils Tower at a greater radius than the Tower Trail. 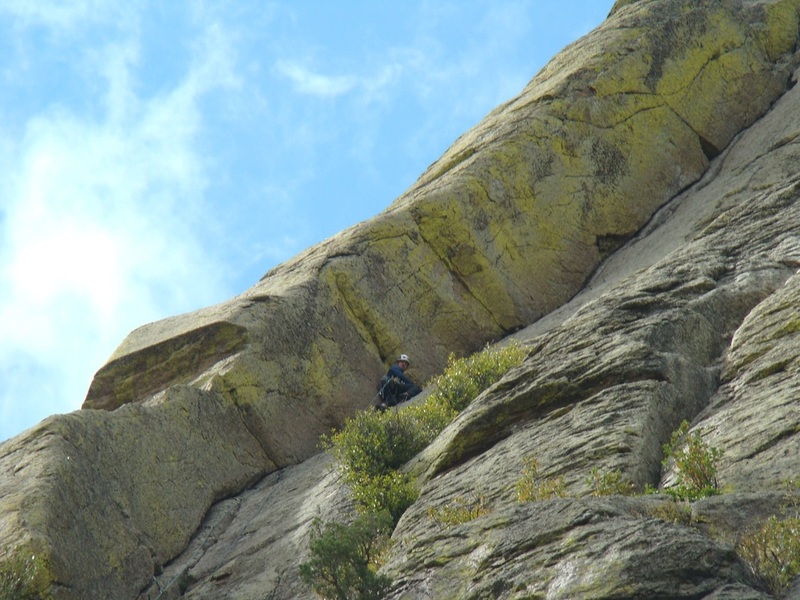 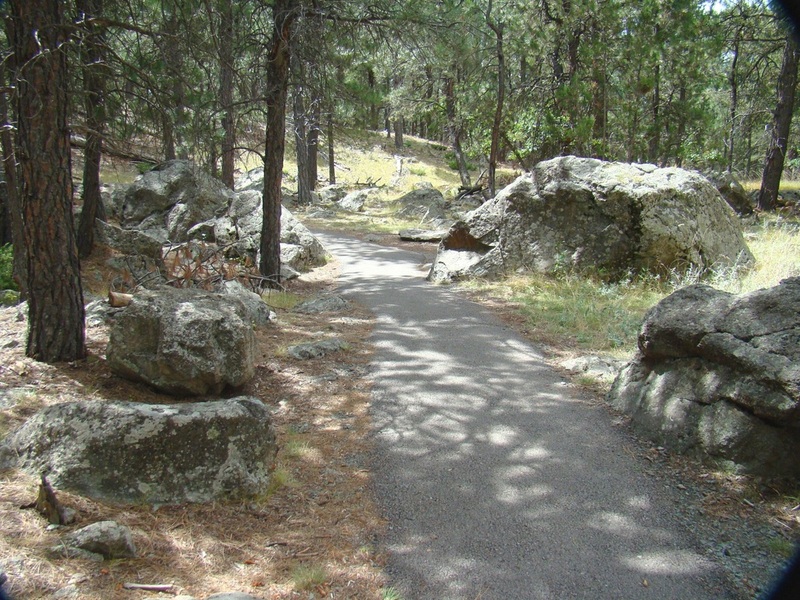 There are two southern branches off the Redbeds Trail: the .6 mile Southside Trail and the .6-mile Valley View Trail, both which join at the Belle Fourche River Campground to the southeast of the Devils Tower. 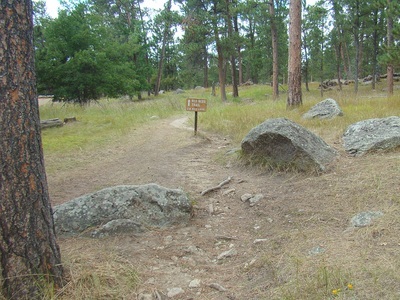 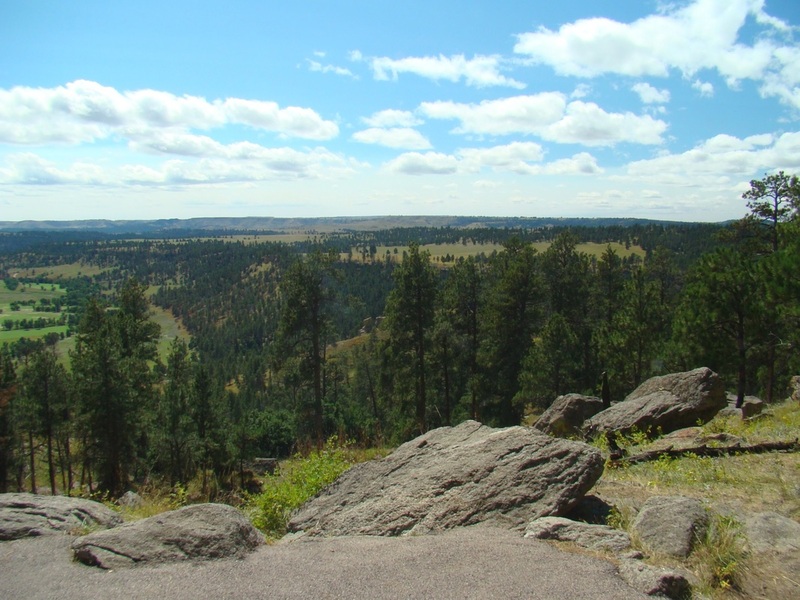 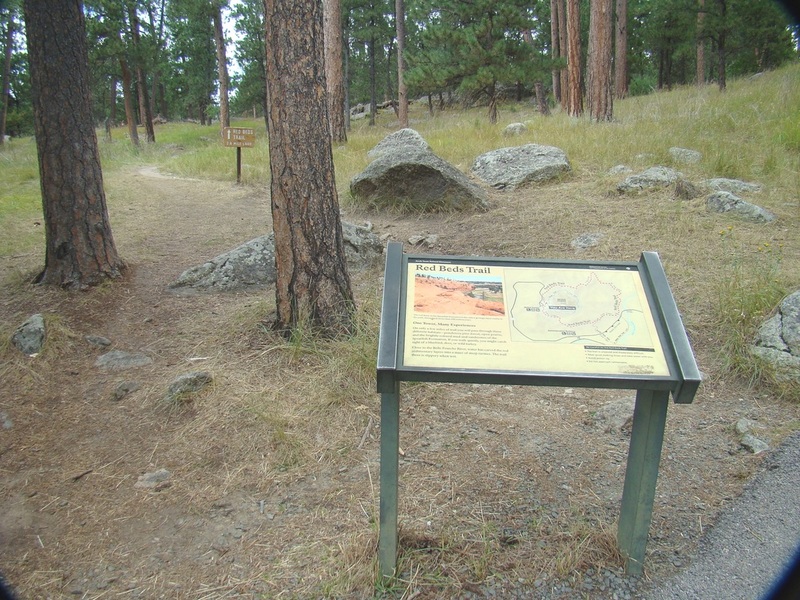 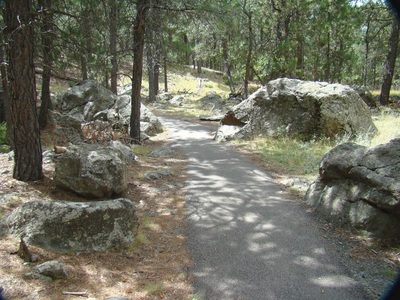 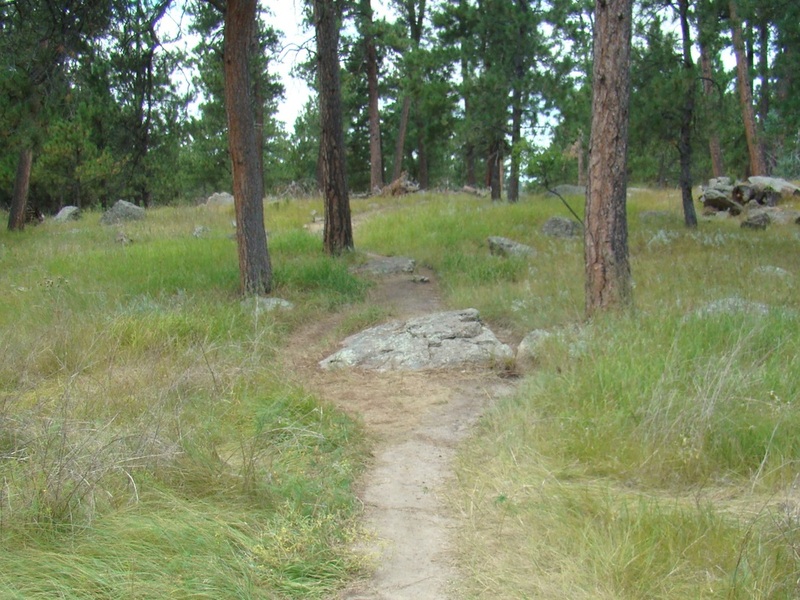 There is also a .6-mile connecting trail from the northwest part of the Redbeds Trail to the 1.5-mile Joyner Ridge Trail (a loop trail north of the Devils Tower).